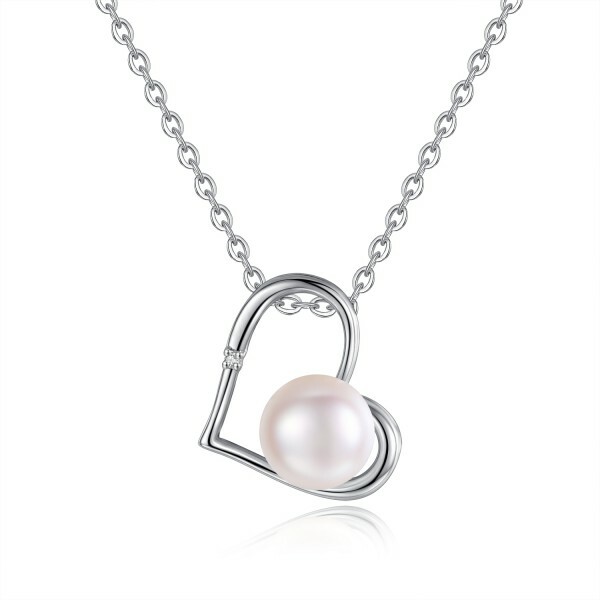 Our In-House designed Diamond Pendant is made from a Natural Diamond and a Freshwater Pearl totalling a Carat Weight of 0.015. Rhodium Plated Jewellers Brass for a perfect finish, this stunning piece comes with a product certificate and if that was not enough you will also receive a complimentary Jewellery Polishing Cloth. The Diamond Pendant will be presented in a High Quality Jewellery Box with a snap closure. STONE – Natural Diamond(0.015 CT) – 1.15mm x 1.14mm approx. PEARL – White Freshwater Pearl – 8mm x 8mm approx.